Just watched a Christmas movie that I've seen a few times in the past. Each time it hits me in a different way. 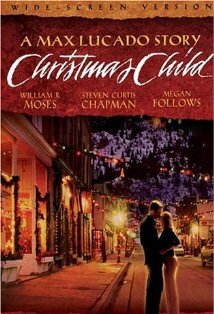 The movie is entitled Christmas Child and Steven Curtis Chapman is one of the featured actors. The movie has an adoption theme so that has a special appeal to our family. As Steven Curtis Chapman and his wife have championed adoption by adopting internationally themselves, he plays his part well. The tragic loss of one of their adopted daughters in May of 2008 was on my mind as I watched the movie. If you can find a copy of this DVD somewhere it will be worthwhile watching it.